I sent out a press release out this morning announcing the sale of DenimJeans.com at Rick Latona Auctions Extended New York T.R.A.F.F.I.C Online Auction – see below. Rick Latona Auctions extended online auction has starts today, there are hundreds of new domains listed along with the domains that did not sell at the live auction. The auction takes place October 28, 2009 10:00am – November 5, 2009 1:30pm EST. View the entire domain inventory here online bidding once again takes place via Proxybid. As blogged about earlier this month Rick Latona’s live auction starts today at 4:30pm EST – 7:00pm EST. Online bidding takes place via Proxybid the entire auction inventory can be viewed there as well. 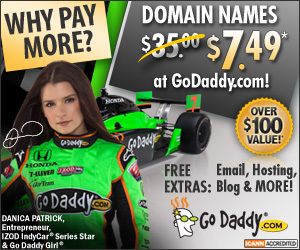 This should be an exciting auction as there are some very good product domains up for auction.